According to official results with more than 80 percent of votes counted, the abstention rate stood at 24.52 percent -- the highest since the presidential election in 1969. 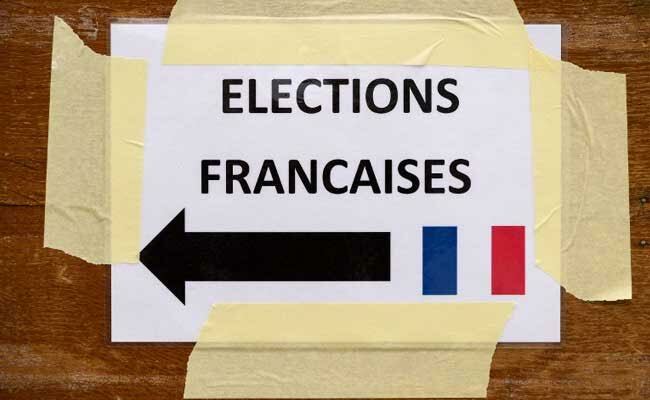 French presidential elections: The abstention rate stood at 24.52 percent - the highest since 1969. Paris: A third of French voters declined to choose between centrist Emmanuel Macron and far-right leader Marine Le Pen in Sunday's presidential election, either abstaining or spoiling their ballots -- a record rate in nearly half a century. In addition, the interior ministry reported a record number of blank and invalid ballots, accounting for nine percent of all registered voters, compared to two percent in the first round. Macron claimed a thumping victory Sunday with some 65 percent of the vote, but it was the first time since the 1969 election that participation in the second round has been lower than in the first, which saw him and Le Pen go through to the run-off as the highest-scoring candidates. "The presence of the far-right in the second round did not prompt a lot of mobilisation compared to the first round, in contrast to what happened in 2002," Jadot said in reference to the election where Le Pen's father Jean-Marie saw voters of all stripes mobilise to block him by backing his opponent, conservative Jacques Chirac. That election saw a dip in the abstention rate to 20.3 percent. But this year, "there wasn't the 'shock' effect, because (Marine Le Pen's) presence was expected," Jadot said. Casting a blank ballot -- traditionally used by disgruntled French voters as a protest vote -- usually increases in the second round. But this year it went as far as to quadruple, thanks in part to an unprecedented situation of neither the two mainstream left-leaning or right-leaning parties making it to the run-off.